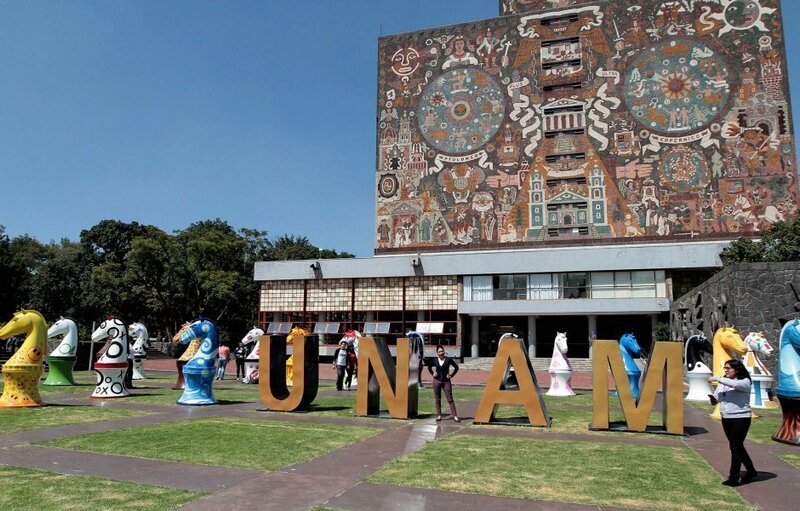 The public university National Autonomous University of Mexico, also known as UNAM, takes the joint 122nd position in the QS World University Ranking and the 4th position of all universities in Latin America. With that position they are Mexico’s leading university on the ranking. If you’re considering a semester exchange at UNAM, you will follow the footsteps of the former richest man of the world Carlos Slim. He studied at UNAM, together with seven old presidents and three Nobel prize winners. The university is very proud of their achievement to create an international environment with approximately 6000 international students. These will all be your friend! UNAM’s research output is high and is therefore recognized for its academics. This means that many academic papers are being released by students and staff from UNAM. The university from Mexico City is well known around the world. Not only for its 122nd ranking, it also is Latin America’s largest university with 324,000 students. The university is appraised for its strength in Mineral & Mining Engineering, Arts & Design and Modern Languages. Their strength in Arts & Design can be found in the mural paintings on the main campus! UNAM has multiple campuses throughout Mexico. 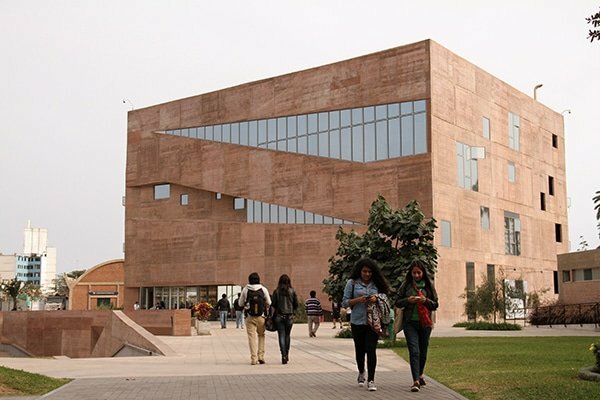 While the main campus is in Mexico City, there are also campuses in Santiago de Querétaro, Morelia, Mérida, Sisal, Ensenada, Cuernavaca, Temixco and Leon. These other campuses mainly have research purposes and are for graduate studies. The campus of UNAM in Mexico City is famous for its architecture. The buildings on the campus are designed by world-famous architects back in the 1950’s. The images below show their special designs! The main campus has even been declared a UNESCO World Heritage Site. The campus is in the south of Mexico City and separates itself from the rest of the city. They do so by having their own regulations, councils, and police (to some extent). This gives a bit of the American campuses, that are more like a separate society. The difference between those are that the Mexican campuses are still close to the city and not in the middle of nowhere. Since UNAM is a campus that separates itself from the rest of Mexico City, they also provide all facilities needed on the campus. Their football team definitely does so. UNAM plays the highest football league in Mexico and even won the league 7 times. While in Europe having a stadium for a football club at a university is not really common, the stadium at UNAM has a capacity of 72,000! Not only football fanatics will have an amazing time at UNAM, also the volleyball team has national and international success! Besides the sports facilities, UNAM also offers an annual event which you’ll probably know: Día de Muertos. It’s the day that Mexicans gather all their family and friends to remember the people who have died and to support their spiritual journey. UNAM organizes the festival on the campus, while it is also being celebrated in the city center. During this day, the favorite food of the departed is being offered to the death. Many people are celebrating on the streets and drinking until the early morning. Great opportunity to discover the culture of Mexico, while still feeling a student;)! Mexico City is perfect for the student life. Its location in Mexico offers the opportunity to see many other cities like Guadalajara and Puebla. Also, which are more close by, you get to see Cholula, Taxco or Valle de Bravo. These are smaller towns located around Mexico City. Perfect for a weekend trip. The nightlife in Mexico City offers many different options. From dancing the Salsa with an old lady, to boat parties, to the famous American house parties. Mexico City has it all. No matter which party you go to, in Mexico pre-drinks are very popular. What’s good to know is that they start very early. In order to avoid traffic, these could start already from 5 pm on Thursday or Friday. Yes, Thursday also! It’s very common to party already on Thursday as it is also known as the ‘little Friday’. One very important tip we can give you is dance! If you’re not really a dancer, then you should definitely become one, as it’s part of the Mexican culture and it will make your evenings out a lot better. Various universities throughout Europe have a partnership with UNAM, which means that students are likely to be offered an exchange program. Depending on which faculty you would like to enroll for, UNAM’s main focus for international students is within postgraduate programs. This includes a lot of programs for after completing your Bachelor. Doing an exchange at UNAM in Mexico City does require the ability to speak Spanish. Before being accepted into the programs, you’ll have to do a Spanish language test. UNAM does currently not offer dormitories for students studying in Mexico City. However, the advantage is that Mexico City has a relatively low cost of living, and therefore renting an apartment yourself for a fair price shouldn’t be too difficult. We do recommend though that if you are renting not from an organization, to first check out the accommodation when you’re actually there, instead of paying the deposit and first month rent already from your home country. It is a big city and in order to not get scammed we recommend to either first stay in a hostel for the first days, or to rent from an organization that is known with international student housing. We have preselected the best houses for you to live at based on the requirements that the house has a English speaking landlord, has a good price and location, private bedroom and possibly a private bathroom, a safe neighborhood and where you can live with other international students. All to help you with an unforgettable time in Mexico City!